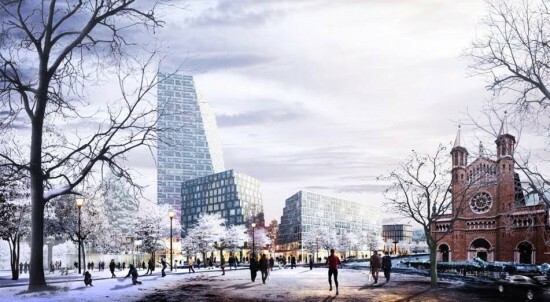 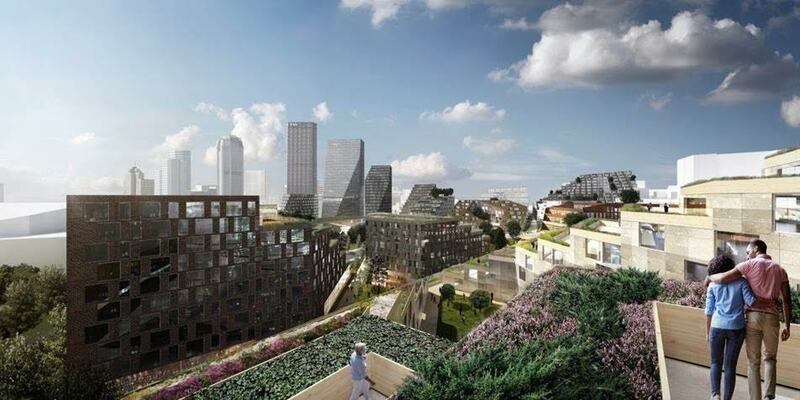 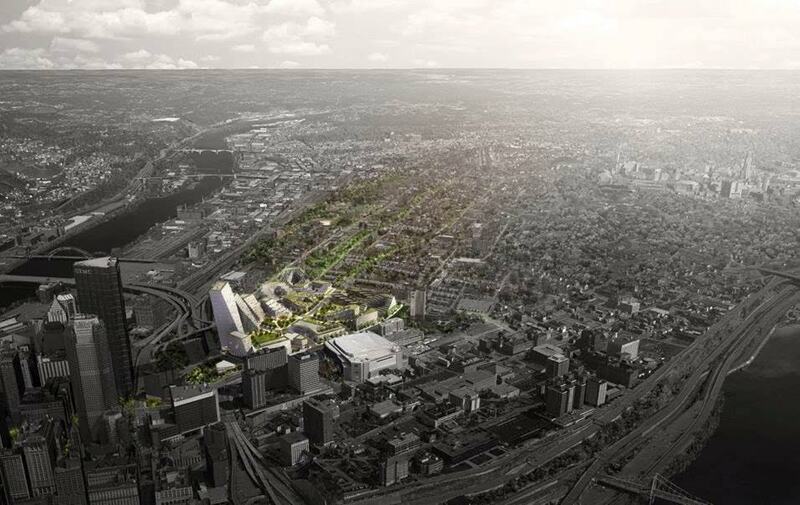 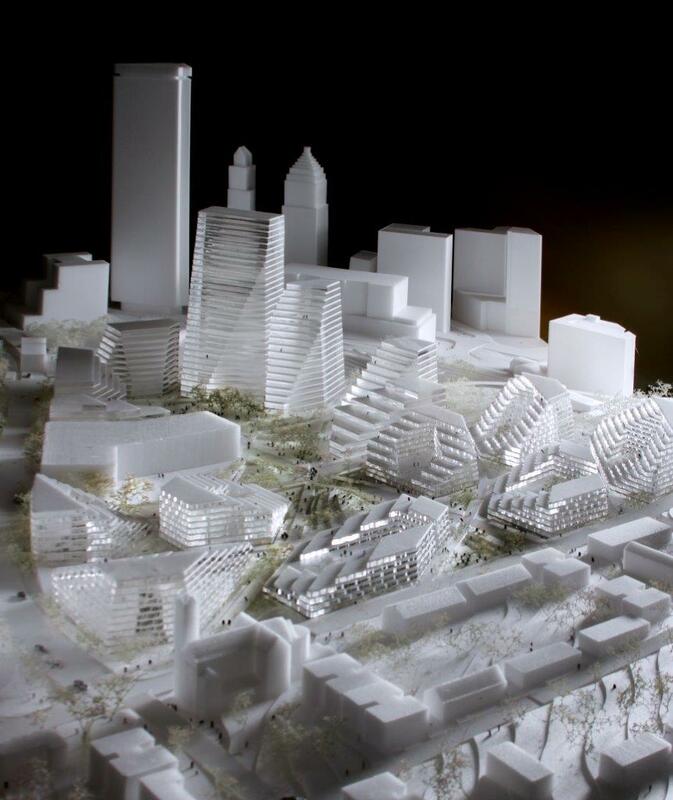 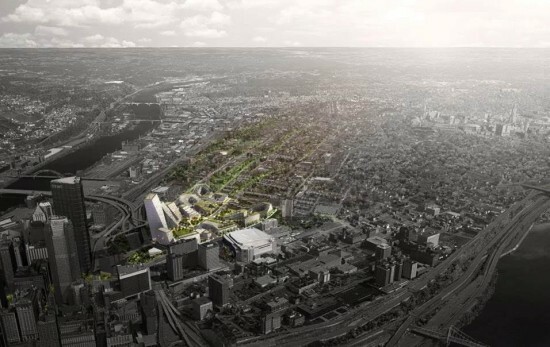 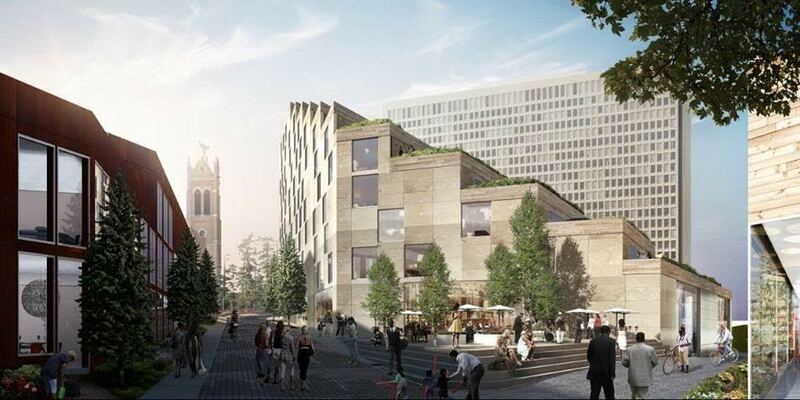 BIG news for downtown Pittsburgh: New York–based Bjarke Ingels Group (BIG), West 8 Landscape Architects, and Atelier Ten were tapped by private developers McCormack Baron Salazar and the Pittsburgh Penguins to create a master plan for 28 acres in Pittsburgh‘s Lower Hill District. 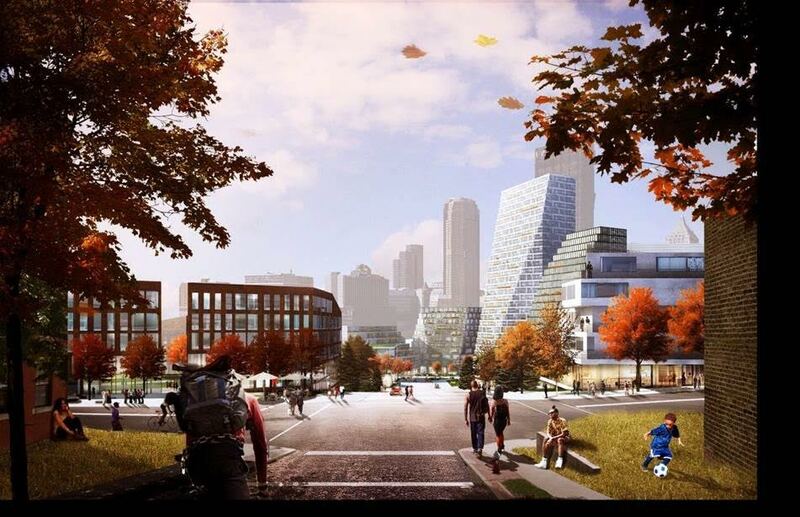 Today, those plans were unveiled. 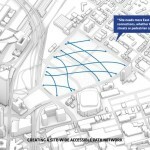 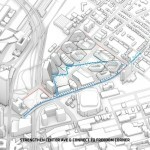 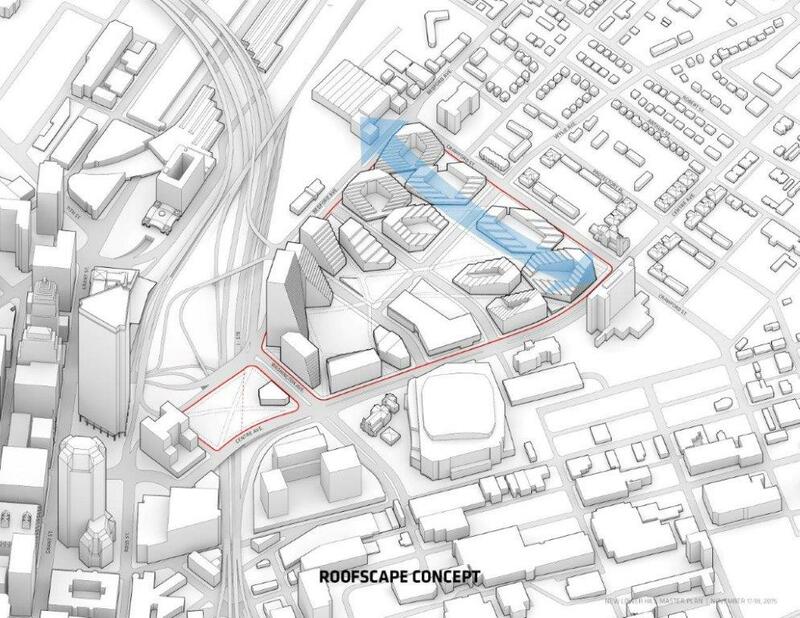 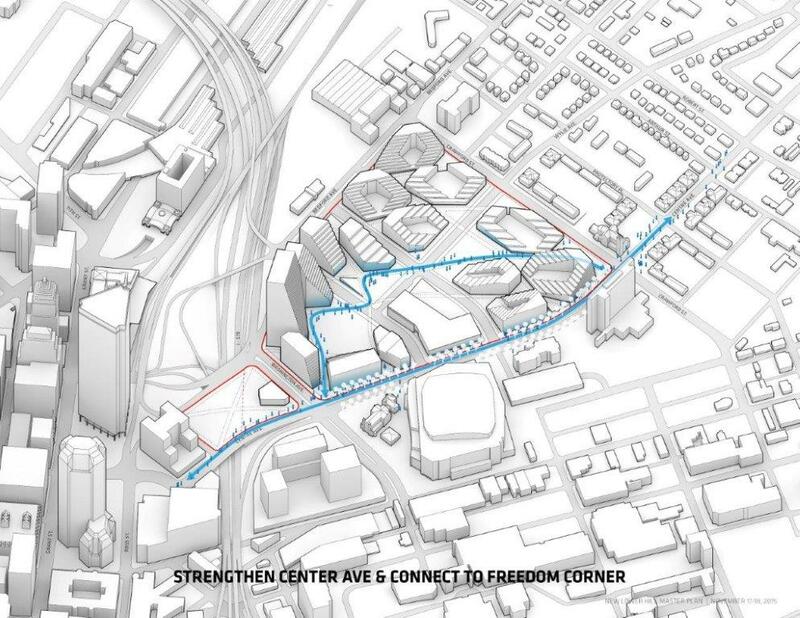 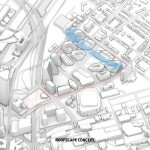 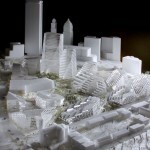 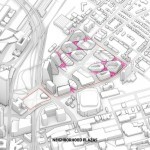 The plan will redevelop public space around the erstwhile Civic Arena, build a new public space across from the Consol Energy Center, and dialogue with the city’s vertiginous topography to create bike and pedestrian paths that connect the Hill District with Uptown and Downtown. 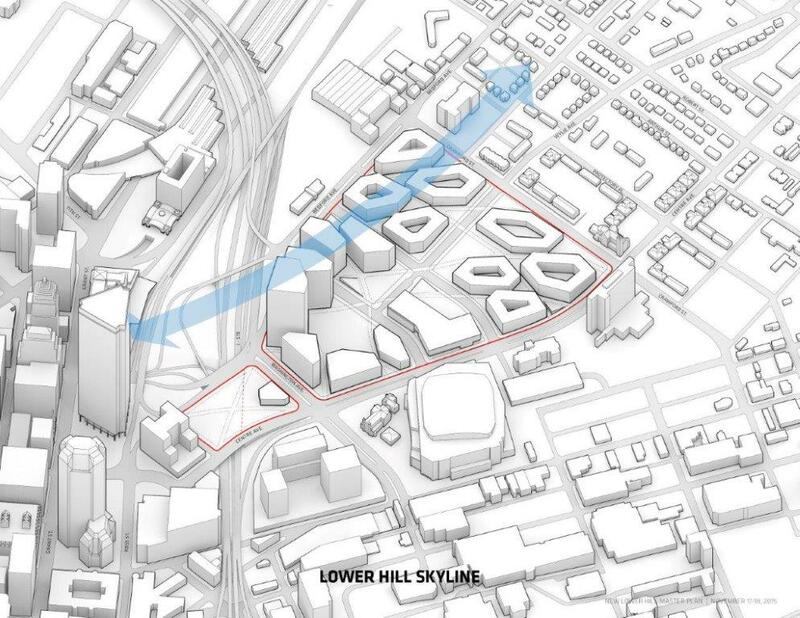 In all, the New Lower Hill Master Plan calls for 1.2 million square feet of residential construction as well as 1.25 million square feet of retail and commercial space. 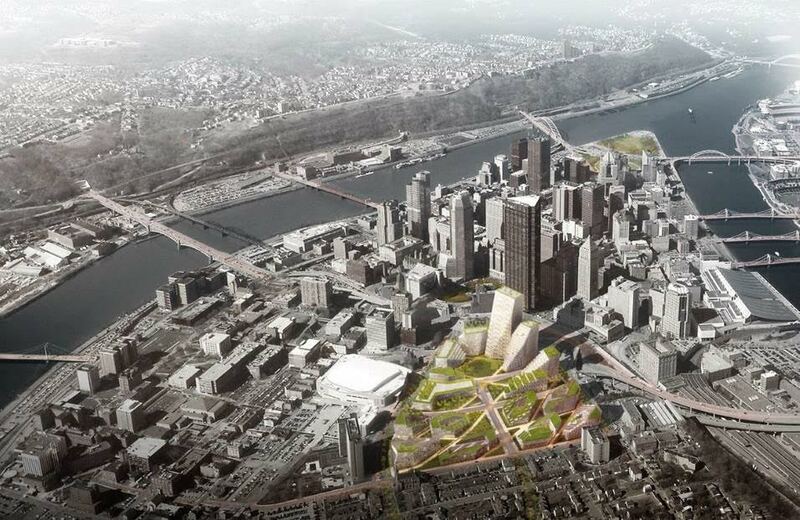 The project is expected to break ground in 2016 and cost an estimated $500 million. 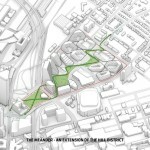 Landscape architects West 8 designed terraced parks and walkways informed by granite outcroppings characteristic of the surrounding Allegheny Mountains. 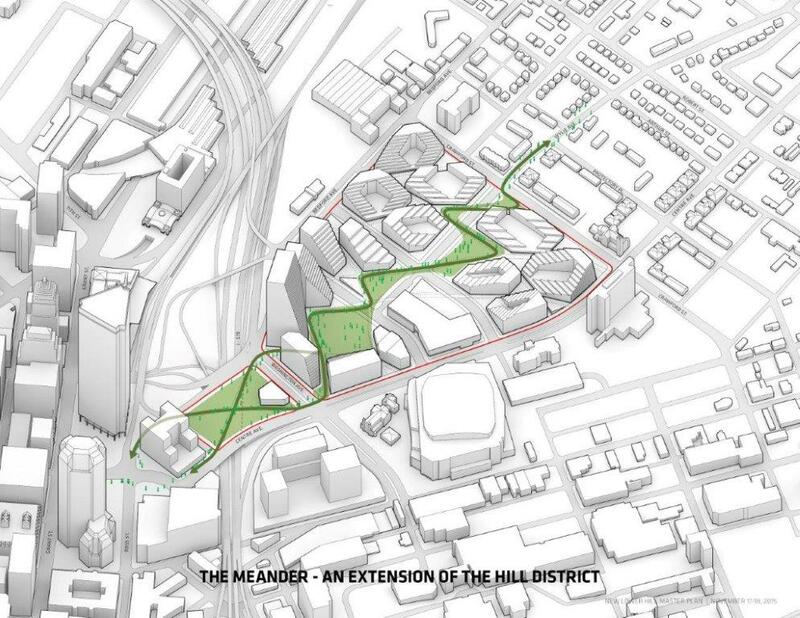 Engineers and environmental design consultants at Atelier Ten developed sustainability guidelines that will encourage district heating and cooling, as well a stormwater retention for on-site irrigation. 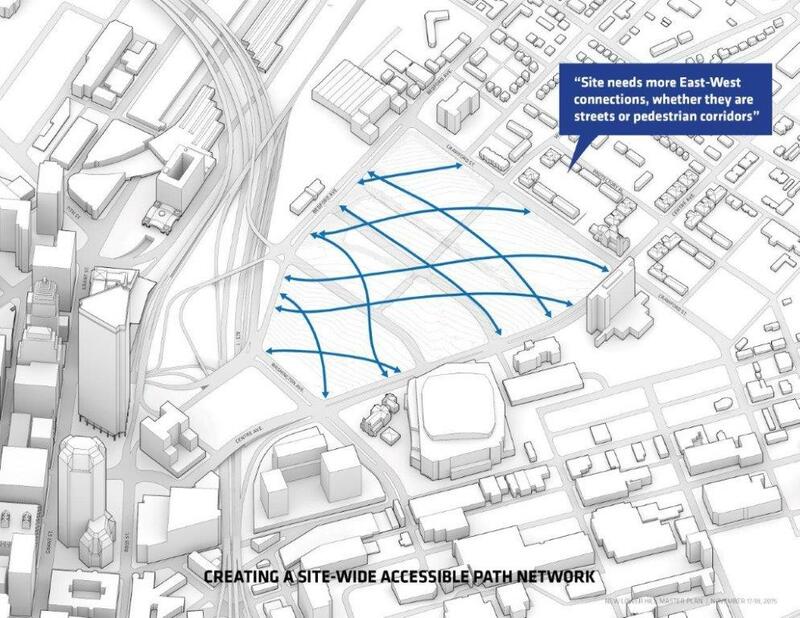 See the gallery for more master plan images and schematic diagrams.